Real Cambodian Hair is sourced from Cambodia and is known to have a medium luster. Cambodian hair comes in a variety of textures and can be naturally silky or heavily textured. Heavily textured hair works perfect for ethnic women and women with heavily textured hair, while silky hair works great for women with naturally smooth textured hair. Its texture makes it one of the easiest hair extension types to wear and care for. When taken care of properly, Real Cambodian Virgin hair from Cambodia will not tangle or mat, and will maintain its silky appeal. The human real hair which collected from Cambodian women is Cambodian hair. The name of the hair same with hair origin precisely. There is a reason why a lot of women choose kind of Cambodian hair when they want to hair extensions, because ‘Cambodian hair is the closest thing to perfection on this earth’, which is a bit pompous to talk about. Indeed, the Combodian hair is sleek, soft, and extremely shiny as if it just came straight out of the bottle! Even your hairstylist cannot create hairstyle perfectly and naturally colored to achieve to such perfection. Our ideal selection of Cambodian hair products range in length from 8” to 32”, but if you need a specific length in mind you can make contact us for a custom length. Hair color also have a variety of types as dark brown and natural off-black colors. It is virgin hair meaning that it has been untouched, so there may be some color variations which naturally affected from sun shine or other elements. You can color the hair if you like but it is best to have beautiful hair extension, you should get help from a professional stylist. Each bundle of hair weighs just about 3.5 ounces but since the hair is not changed, it is possible for virgin hair to weigh differently. The glossiness of the hair is low to medium which means its natural luster will blend with other shades of natural hair well and it is coarse allowing for a natural appearance. The texture of Cambodian hair is soft and similar to African American natural hair allowing it to be not only full and wavy but also very flexible. It can also be worn straight when styling carefully, but once it becomes wet it will go right back to its original wavy style. You can see the first picture! Straight Combodian hair is one of the most popular hair types. However, you may not know that wavy style is Combodian hair’s original style(second picture). Cambodian hair from Cambodia, you will know what it is after hearing this term. This essentially is a kind of raw hair which is sourced from Cambodian. We collect raw Cambodian hair extensions which is known for having a medium luster from women in Cambodia. Cambodian virgin hair for sale comes in a variety of textures and can be naturally silky or heavily textured. Heavily textured hair works perfect for ethic women and women who have heavily textured hair, while silky hair is the best choice for women with naturally smooth textured. The straight texture of Cambodian hair for sale is easy to maintain and last for a long period if it is properly cared for. Thank to these features in its textures, it becomes really attractive in the customers’ eyes. We sure that it is one of the easiest hair extension types for people to wear and care for. So, is Cambodian hair good? Cambodian hair vs Brazilian hair, which one is better? Is Cambodian hair thicker than Brazilian? Even when you are a hair extension wearer, you maybe a little unsure about this. We will provide details for you to make sure that pure Cambodian hair is actually the best and last choice for everybody. The Cambodian hair for sale brings a lot of favorable characteristics that make every single person be satisfied. It is truly healthy, soft and silky. This is mainly because women in Cambodia take care of their hair with love and natural products. 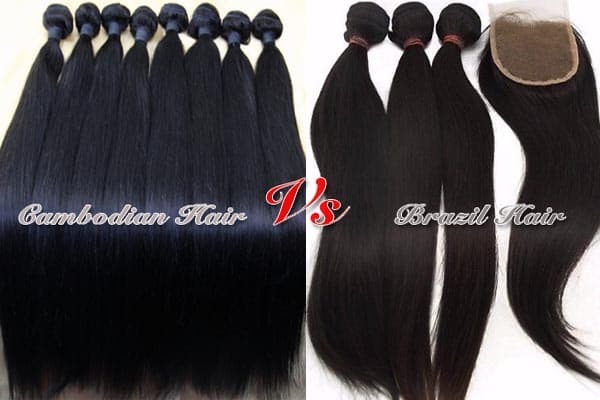 Cambodian hair vs Brazilian hair, which one is better? Cambodian women have a tendency to utilize more natural, mild hair care products like lemon, soapberry and coconut oil for hair wash. They reduce using chemical shampoo to a minimum to avoid harm to it. Cambodian hair for sale will not tangle or mat, and will remain its silky appeal. A lot of customers want to know more than about the thickness of Cambodian hair. Compared with other kind of hair, it is little thicker with a high volume. For example, in Layla Hair, Cambodian hair manufacturers, Cambodian hair manufacturers, the single drawn hair contains of 50% full length hairs, it is perfect for a natural effect. Besides, the double drawn hair contains of 70% full length hairs and the supper double drawn hair contains of up to 85% full length hairs. They are actually favorable at all the markets in the world. In the case of the double drawn hair or the supper double drawn, we add more long hair strands into a bundle and move short hair strands outside in order to remain the thickness from top to the bottom. All the steps of this process are made by hand without any mechanical processes. Therefore, the hair will appear more voluminous and glamorous. 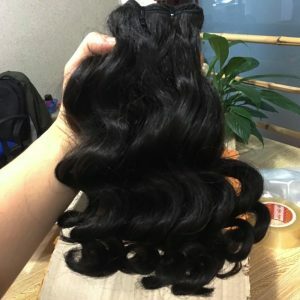 Layla Hair is a professional manufacturers and high-reputation Cambodian Human Hair for sale as well as Vietnamese Human Hair for sale in the world. With very rich industrial experience and conformity in this realm, Layla Hair Wholesale Cambodian Hair from Cambodia is engaged in offering our clients best and most beautiful array of Cambodian Hair for sale. The company always tries to achieve all the demands of customers by focusing on not only the appearance but also the quality of products. We are receiving more and more positive feedbacks about the items made of Cambodian human hair every month, every week and every day. The offered Real Cambodian Hair Extensions (Cambodia Hair) for sale is stunning and very soft in texture. Cambodian virgin hair manufacturers toupee and extensions are very easy to install and remove. Upgrade your beauty by grabbing this beautiful Cambodian Virgin Hair from Layla Hair Company Wholesale Vendor right now! These Cambodian Hair Bundles are born to be yours. Along with Vietnamese hair, Cambodian Hair from Cambodia is gaining the strong preference of customers all around the world. Both of them are various in textures and can be naturally silky or heavily textured. While Vietnamese is much silkier, Cambodian hair is thicker and coarser. However, that does not mean that Cambodian human hair is not good, it still soft and silky. The main difference between these two kinds of hair is Cambodian hair has a lot of natural wavy and curly hair, while Vietnamese hair is usually straight. Layla Hair Company – a large wholesale Cambodian human hair distributor and Cambodian hair factory in Vietnam – is fully aware of this increasing trend and making every effort to perfect our virgin Cambodian hair bundles. What does the term “virgin” mean? There may be someone who has a confusion about it. In fact, it is one of the most important and prominent factors for people to consider when they buy hair. It is chemically unprocessed human hair that doesn’t undergo any harmful treatment such as dyeing, bleaching or coloring,… It has not been straightened, curled, ironed, or blow dried. With a long professional experience in this area, Layla Hair wholesale virgin hair suppliers guarantee that Cambodian hair is collected carefully from good virgin hair vendor and Cambodian hair market with the best quality to satisfy even the pickiest customers and Cambodian hair salons. See some pictures of Cambodian hair below. 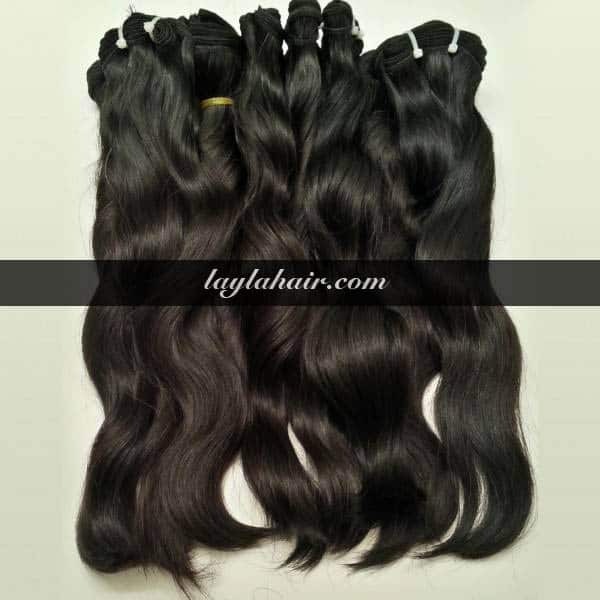 All Cambodian hair from Layla hair, the best Cambodian hair Vendor is Remy hair which means that it is collected from a single donor and Cambodian hair suppliers in Cambodia. Although Cambodian Remy hair and non-Remy hair are both human hair, Remy hair is radically different from non-Remy hair which is collected from multiple sources. All the hair strands stay aligned in the natural direction as it grew. For that reason, Cambodian remy hair is absolutely smooth and difficult to be tangled. That means you do not need to spend too much time taking care of your hair. Instead, you can enjoy your life without worrying about these troubles. It can also help people avoid common problems like with the other hair. By using this kind of hair, the wearers will feel comfortable and convenient to use. Unlike other human hair vendors, Layla Hair Wholesale and manufacturers hair vendor supplies Cambodian hair in which all cuticles are the same direction from the roots to the top. As a consequence, when you wear a lace wig tapes or a middle part human hair wig made of 100% Remy Cambodian hair. Your hairstyle will be looked absolutely real and effortlessly gorgeous. 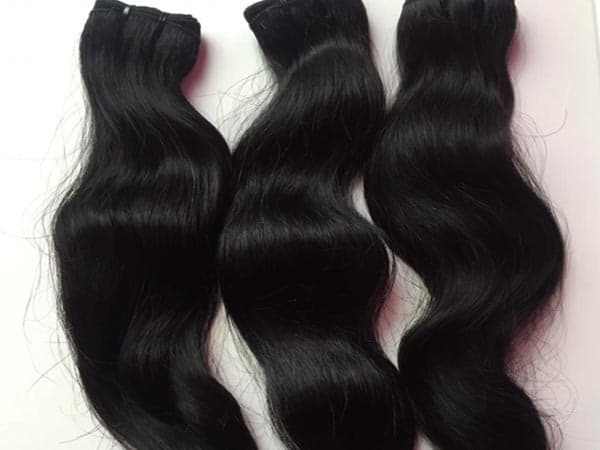 Being one of the Best wholesale hair vendor, Layla Hair realizes that thanks to the Cambodian traditional hair washing custom, real Cambodian hair and Cambodian virgin hair for sale weave bundles are not only strong but also deep and silky. Indeed, Raw Cambodian hair seems out-of-this-world. 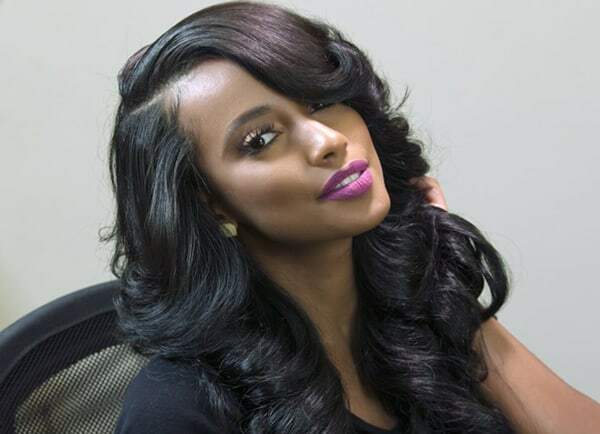 So, in Layla Hair wholesale weave distributor, our experienced workers are able to trim, dye, perm or curl the Raw virgin Cambodian hair without ruining them. You can change the hairstyle more frequently. We 100% sure that our products will help you improve your self-confidence and self-esteem. You just need to make requirements and we sure that you will be satisfied with it. Where to buy Cambodian hair? Of course Layla Hair will be the best and the most reasonable choice for everyone. Besides Vietnamese human hair, we also provide Cambodian human hair and a lot of items made from these two kinds of high-quality hair. You can place an order of several bundles of hair, a single full lace wig, a lace frontal wig or even a really large amount of products. We are always willing to meet your demands and make you feel happy. After many years of experience in the field of hair extensions as a hair vendor and factory, our maxim is helping customers fully understand that only the high quality hair with competitive prices can attract and keep respectable customers coming back. Layla Hair also produces a lot of products made of Cambodian hair as well as Vietnamese hair such as full lace wigs, lace frontal wigs, bundles with closure, hair toppers and toupee, tape in hair extensions, clip in hair extensions and so many other products. All of the products are made of love and care. We put all of our enthusiasms and energies into them to make sure that the users will be absolutely satisfied with them. Layla Hair also make discounts for special customers and struggle to make products be shipped on time. How to care for Cambodian hair? Taking good care of Cambodian Virgin hair is very important to expand its life expectancy. Keep in mind that you should treat it as if it is your own hair. However, you do not need to wash it very often like your real hair. Just wash only when you see and feel that it starts look dull and lifeless. Another thing that you should pay attention is hair care products. Using a good quality shampoo and hair conditioner which hydrate and add moisture is actually beneficial for hair strands’ health. By doing that, the hair is kept soft and manageable. Wash and condition the hair from top to bottom gently. You need to avoid heavy oils, moose, gel and hairsprays. Because they may weigh down the weave and make it tangled. Taking care of Cambodian human hair does not mean that you can’t style or color it. As we mentioned before, you can treat it like your own hair. Curling it, straightening it and coloring it depend on you. But remember, the excessive heat can dry out your hair and shortens its life time. So, you can style or color it but don’t do too many times. So, your Cambodian hair can be healthy and maintain the beauty. All of these things are basic information of Cambodian hair for sale, one among highest quality materials that every hair extension wearer is looking for. It has favorable characteristics contributing to creation of a gorgeous hairstyle. With all of its features, you can change your appearance as well as your whole life. We hope that, this post can help you understand more about Raw Cambodian Virgin hair and have reasonable options.